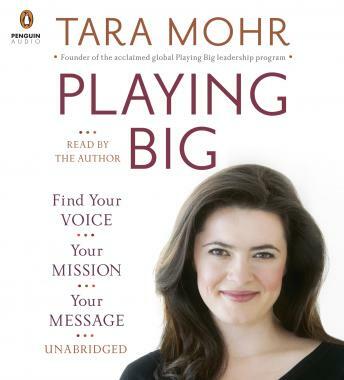 In her coaching and programs for women, Tara Mohr saw how women were 'playing small' in their lives and careers, were frustrated by it, and wanted to 'play bigger.' She has devised a proven way for them to achieve their dreams by playing big from the inside out. Mohr’s work helping women play bigger has earned acclaim from the likes of Maria Shriver and Jillian Michaels, and has been featured on the Today show, CNN, and a host of other media outlets.